Latest App Store rankings released this morning reveal that Clone ‘Em, the Leadership Cloning App has risen to first place in the popular Fast Growth category. Leveraging data from mobile and wearables, Clone ‘Em uses advanced algorithms to prompt new leaders when they’re acting like a suit or an uber geek. Targeting the sweet spot of mindful awareness and unicorn growth potential, Clone ‘Em provides actionable cues throughout the workday on Apple watch and other mobile devices. Ear canal implants are anticipated this fall. Executives are constantly looking for ways to improve leadership, workforce productivity and entrepreneurial drive. Despite new distance learning technologies, training is a long term investment with mixed results. What leaders really want are instant results. Clone ‘Em sounds like pure fiction but when the CEO of one of Silicon Valley’s hottest start-ups challenged his people to figure out a faster path, a young engineer suggested, “why not just clone the best, build an app or do both?” Ergo Clone ‘Em. Clone ‘Em’s basic alerts inform users when they’re not being clear about assumptions, facts or logic. Patent pending Moon Shot alerts go further and distinguish narrow, incremental financial logic favored by operating executives and newly minted MBAs from bold ideas that spawn the next Valley unicorn. When detecting incremental thinking, a hologram of Elon Musk frowning from atop a SpaceX rocket is projected on the nearest wall. Clone ‘EM sends small but constantly increasing electrical pulses to users if it senses discussions or decisions based on title or position rather than merit. Weekly “Know Your Bozos” rankings aggregate data for display in company community centers such as fitness rooms and cafeterias. Those firms operating in the social economy will want to take advantage of the “Libertarian Impulse Detection” module which will remind overzealous meritocracy advocates that opportunity is not always equal. Clone ‘Em’s “Tunnel Vision” sensors detect functionally myopic blaming be it engineering vs. marketing, hardware vs. software, suits vs. geeks, etc. When triggered Tunnel Vision uses electromuscle stimulation to enhance peripheral vision. With its virtually limitless alternative scenario library, Clone ‘Em supplements discussions with proven problem and solution alternatives. Clone ‘Em will shortly release an A/B/C testing module to enhance old school A/B testing. App store customer reviews rate the A/B/C testing feature as 11. Call them bugs or plain old problems, leaders will always face them as long as there are humans. Bug Me alerts are Clone ‘Em’s answer to transparency and accountability. Using proprietary algorithms, log files, GPS data and real-time meeting transcription services, Bug Me makes sure that all issues and problems are surfaced without blame or fear of retribution. Clone ‘Em users become so comfortable openly addressing problems that “Come on, bug me!” has replaced “Hey dude” on many tech campuses. Technology push is a weakness that all too often overwhelms users with features that have no value. Clone ‘Em’s wireless wand accessory scans potential users, creating specific use-case personas for each that are validated using social network APIs such as Facebook. With stun gun efficiency (and comparable voltage established by the latest round of investors) custom Clone ‘Em alerts such as “Who gives a damn?” (WGAD) instantly stops wasting time on stupid business models or product development features. As I sit here on the eve of the first presidential debate (456 days before the election!) and Jon Stewart’s Daily Show retirement, the gap between satire and reality seems awfully narrow. 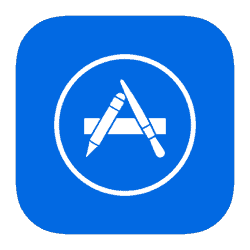 If you have any doubts, search for leaderships apps on your favorite app store. You’ll get pages of responses. Maybe you’ll even find Clone ‘Em (hint: be sure to look under paid apps). We are wired to seek ridiculously simple answers to tough problems. Where I live, people don’t even hope; they expect that technology will enable virtual leadership. Frankly, anyone who’s led an organization bigger than fits in a garage spends most of their time leading virtually . Leadership is rooted in vision, values and character. That’s a full life’s work. If we get to the point of being able to put that into an app, I’d be more worried about the followers than the leaders. Which reminds me, I’ve got to set my DVR so I don’t miss The Donald tonight. This is terrific. If only! My job certainly would be easier! Thanks for posting. Suggest you freshen it up and repost the first day on every April.